Every year, millions of Americans — 34.2 million, to be exact — provide care to elderly adults. In many cases, these people are acting as caregivers to an elderly parent or parents. Have you recently found yourself in this situation? If you’ve been tasked with caring for your elderly parents, it’s normal to feel overwhelmed. You’re definitely capable of providing care, though. Here are some important tips you need to keep in mind when you’re caring for elderly parents. One of the most important things to do when you start taking care of elderly parents is to thoroughly evaluate the amount of care they really need. Acting as a caregiver isn’t just about running errands and reading magazines to them. You may be responsible for a lot of challenging tasks, such as bathroom care, addressing their personal hygiene, and making sure they take their medication. Before you agree to serve as a caregiver — part-time or full-time — make sure you understand exactly what kind of tasks your parents need you to help them with. This doesn’t make you selfish. It shows that you’re smart and aren’t making a big decision on a whim. It’s also important to understand the financial burden involved with acting as a caregiver. Aging in place can get expensive, especially if your parent requires a lot of medical care or if they need renovations to make their home safer. Sit down and crunch the numbers to figure out how much it’s going to cost for your parent (or parents) to age in place. Take a good look at your parents’ financial resources to see what they can afford. Ask yourself, too, if you’re willing to foot the bill for what they can’t cover. Use this information to put together a monthly caregiving budget. Your parents need to feel that they’re involved in the decision for you to act as their caregiver. It may be tempting to charge in and take control, especially after something serious has happened like a fall or illness. Make sure your parents have a say in the matter, though. Sit down and talk to them honestly about your concerns and how you’d like to help. You may get some pushback from them, so you need to be patient and stay calm throughout the conversation. Keep in mind, too, that this may need to be an ongoing conversation. Once your parents do agree to let you act as a caregiver, it’s important to take steps to get their estate in order. This includes going over documents like their wills, power of attorney, health care proxy forms, trusts, and do not resuscitate orders. You’ll also need to make sure you know where to find documents like birth certificates, the deed to their home, and their insurance policy. Keep all these documents in a folder or binder so you can access them quickly. If someone else offers to assist you in your caregiving duties, let them. It’s tempting to want to take over and do everything yourself. There’s nothing wrong with accepting help, though. If you have siblings who live close by, talk to them about splitting the responsibilities of caring for your parents so that neither of you gets burned out. Friends and family members who live out of town can help out, too. Arrange for regular phone calls to check in with your parents and make sure they’re okay, or talk to them about helping in other ways like helping out with medical bills. If you’re going to be acting as a caregiver in any capacity, it’s important to let your employer know. This shouldn’t serve as an excuse to slack off at your job, of course. But, your employer should know what you’re dealing with at home. Even if you’re capable of keeping up with your responsibilities right now, you might have conflicts come up in the future. For example, you might also need to work on negotiating a new schedule or planning to work from home a couple of days per week. The more your employer knows about your situation, the more likely they are to work with you. You might want to consider paying for more skilled assistance while caring for your parents, too. A home health aide can help with meal preparation, housekeeping, and other tasks to make sure your parent is in good hands while you’re working or taking care of other things. Professional help is especially important if your parent is suffering from a condition like dementia or has severe mobility limitations. There is a lot of helpful information online about finding skilled care providers for your elderly parents. Finally, make sure you’re taking care of yourself. When you’re a caregiver, it’s easy to neglect your own needs and focus all of your energy on taking care of your parents. Remember, though, that you cannot pour from an empty cup. If you’re not taking good care of yourself — eating well, sleeping enough, exercising, etc. — you’re not going to be able to care for your parents properly. This is why it’s so important to accept help or consider hiring a professional to come in on a regular basis. This allows you the time you need to recharge and refresh. Want to Learn More About Caring for Elderly Parents? As you can see, there’s a lot you can do to take care of your parents as they get older. 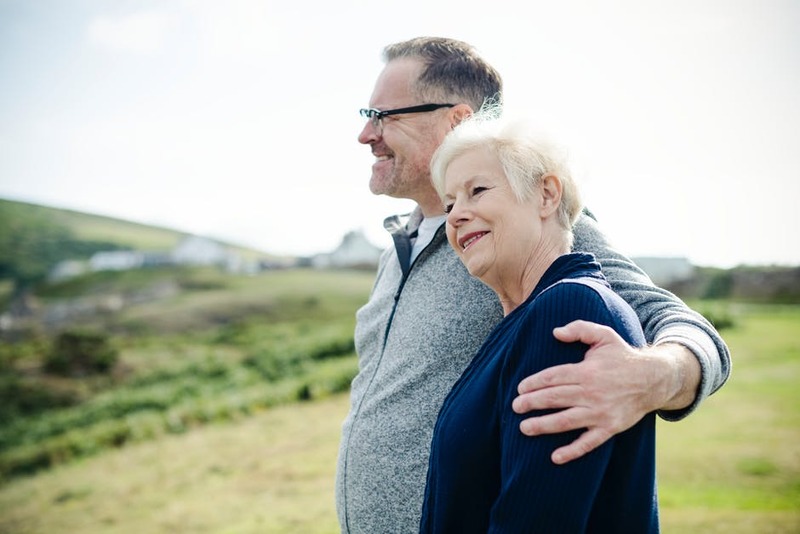 Whether you serve as a primary caregiver or help them find more specialized care, you have many different options to make sure your elderly parents stay safe and healthy. Are you interested in learning more about caring for elderly parents? If so, check out the Family section of our site today. There are lots of helpful tips here that will inspire you to continue doing what you can to provide your parents with the help they need.